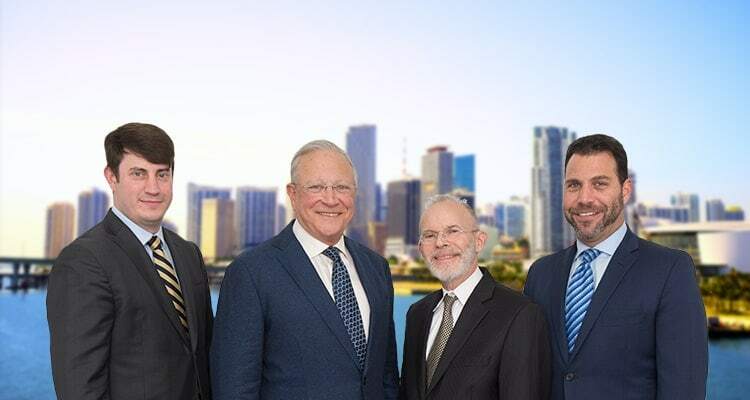 Miami Crime Victim Tourists | Florida Injury Lawyers Gerson & Schwartz, P.A. Every year, millions of tourists descend on Miami and the surrounding area. In fact, 2017 amounted to an all-time high in terms of both the number of overnight visitors and how much the spent. Miami-Dade County had 15.8 million overnight visitors in 2017, and they went on to spend $25.9 billion that year. Tourists come to Miami for all sorts of reasons, including the nightlife, culture, cuisine, and cruises. Port Miami also had a strong year in 2017 with the most cruise passengers ever at 5.3 million. For Miami and the rest of the county, tourism is a boon. It supports many businesses, from large chains to mom-and-pop shops and cafes. However, tourism also creates risks. With so many visitors enjoying the sites, it is easy for them to fall prey to criminals. If you were harmed in a crime in Miami-Dade County, you should speak with one of our attorneys for Miami crime victim tourists. You can reach us at Gerson & Schwartz P.A. at (305) 371-6000. Some tourists are savvy. They know they stand out in a crowd of locals, and they know that makes them a target. They take steps to protect themselves from crime, including being aware of their surroundings, not walking alone at night, not carrying their passports, and not carrying an abundance of cash. Other tourists are focused on having a good time, and they assume they are safe in a city known for its tourism. Unfortunately, no matter how shrewd or naïve a tourist is, they are at risk for being the victim of a crime. If you were attacked and injured during a crime, do not hesitate to call us. Our Miami crime victim attorneys have helped many people and their families. We have handled cases in which tourists were injured in their hotels, motels, or rental housing, in restaurants, bars, and night clubs, in malls, theaters, stadiums, and casinos, on cruise ships and at the terminal, and even out in public on the street or at the beach. Wherever you were hurt, whatever the type of offense, we are here to help you pursue justice and compensation through the civil court system. We also have helped families pursue compensation through wrongful death claims if their loved ones were killed while visit Miami. We are not afraid to take on cases involving murder and manslaughter. If you were injured during a crime, you should contact our lawyers for Miami crime victim tourists. We have years of experience helping crime victims obtain compensation for their injuries. We will thoroughly investigate what happened to you. We will review the incident in depth for a number of reasons. First, we will gather evidence of who was directly at fault – the offender. It may or may not be wise to file suit against this person directly. When an offender has little income and assets, a judgment against them would be little-to-no help to you. However, second, we will look to see if any other party was responsible for placing you at risk. The most common example of this is if you were injured on another business’s property, and that business failed to provide adequate security. If we find evidence of negligence security, you may have a premises liability claim against the business owner. The third reason we conduct an in-depth investigation is to gather evidence of the type and extent of your injuries in order to prove your economic and non-economic damages. We may need to work closely with you, your medical providers, and expert witnesses to prove your damages to an insurance company or in court. Gerson & Schwartz P.A. is known throughout the country as a firm dedicated to helping crime victims. Senior Partner Philip M. Gerson was previously the chairman of the board for the National Center for Crime Victims. He was also the founding board president for the National Crime Victim Bar Association. If you were harmed in a crime in Miami, and a third party was responsible, he and his colleagues are the people you want on your case. They have the knowledge, skills, and resources you need to fully advocate for you in court. To learn more about we can help, contact us at (877) 475-2905. We offer free consultations.